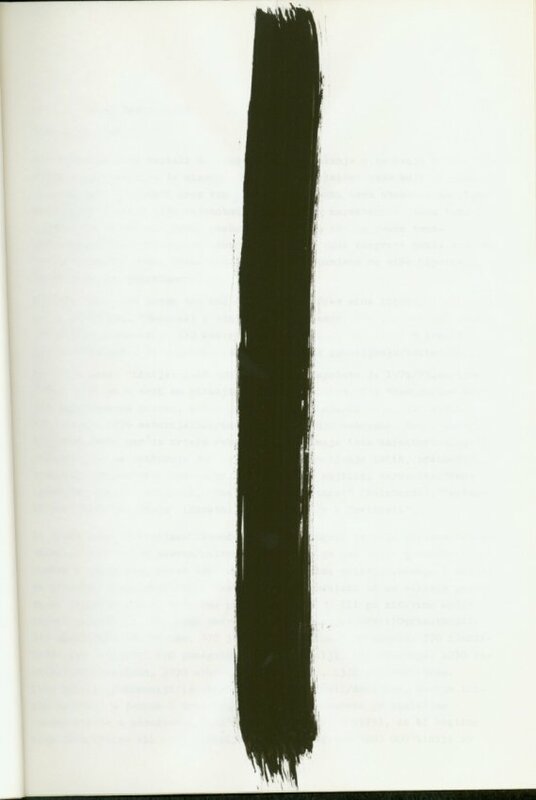 “Lines,” exhibition catalogue, cover page. Courtesy of Branka Stipančić. “Lines” was the second curatorial concept the art historian Branka Stipančić presented at Podroom (Basement)—the Working Community of Artists in Zagreb. Podroom, a self-organized artist space that existed between 1978 and 1980, brought together Zagreb artists associated with the “new art practice” (conceptual, performative, and process-based art of the late 1960s and ’70s in Yugoslavia).1 Most exhibitions and events were organized by artists. 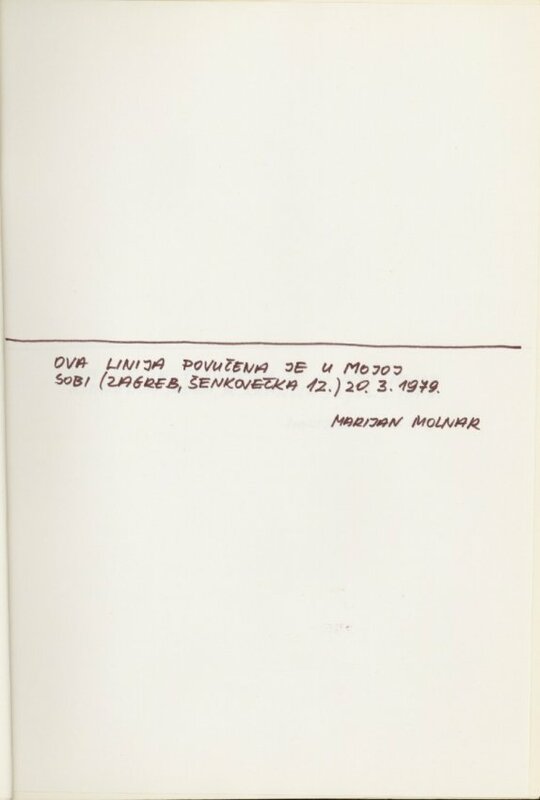 The two exhibitions organized by Stipančić in 1979—“Values” and “Lines”—were exceptional. They were the first two curated projects by Stipančić, a then emerging art critic and curator. For both projects, she was concerned with finding an appropriate mode of exhibition that would communicate the basic problems and meaning of the new Conceptual art to the public. In particular, “Lines” was conceived explicitly as a didactic exhibition. 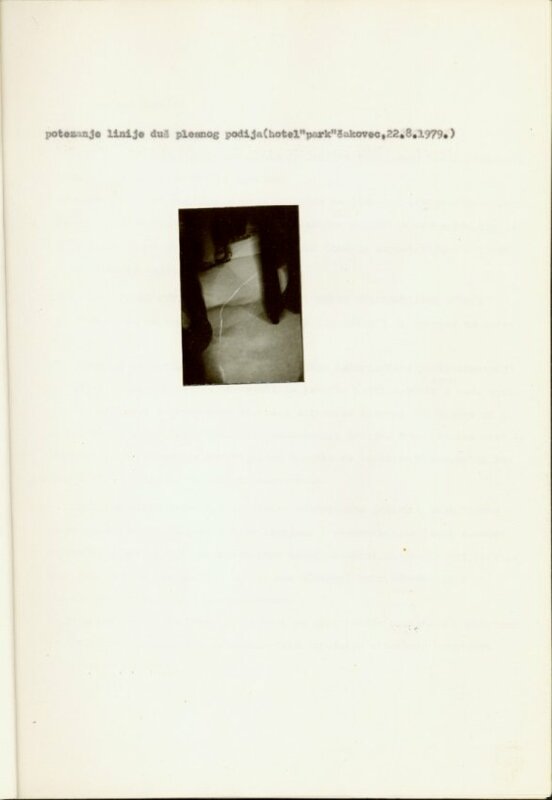 In the introductory text of the accompanying catalogue, Stipančić states that she is exhibiting a “method,” a particular mode that would enable those unfamiliar with the “new art” to understand its radical departure from traditional ways of making art.2 By showing the exhibition in Podroom, the curator admitted that she was preaching to the converted, and that the exhibition would better achieve its didactic purpose in another space, such as a university. Instead, new art required new tools of critical interpretation, as well as new methods of curation. Stipančić showed that the same visual element—a straight line—was in fact not at all the same, but acquired new meaning in each artistic iteration, with each change of idea, motivation, process, and context. 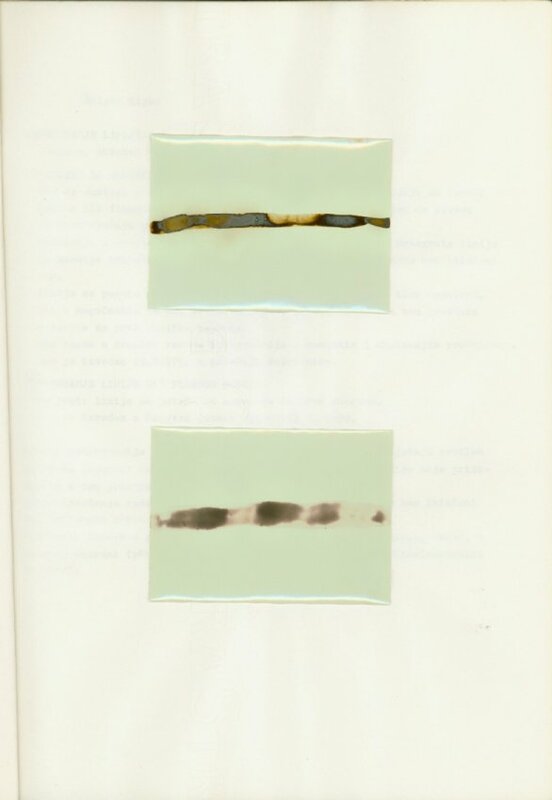 Ultimately, what was revealed was not the work as a mere visual and aesthetic fact but “the work as a specific system within the system of art and society.”4 In order to make this as explicit as possible, Stipančić decided to exhibit each of the artworks with an accompanying text written by the artist to explain the particular concepts, processes, and intended meanings pertaining to the work. 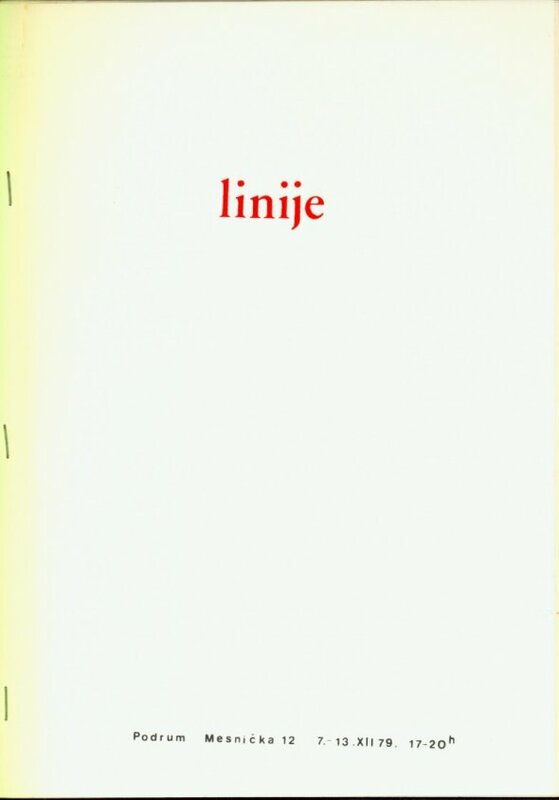 The most comprehensive and theoretical text “What Are Lines?” (1977) by Raša Todosijević explained the artist’s continuous engagement with the line-form since 1973, as a way to question “art by means of art.” Stipančić’s concept could be considered a translation of Todosijević’s artistic process into a curatorial one, into questioning the meaning and function of exhibition by means of exhibition. 1 For an account of Podroom, see Ivana Bago, “A Window and a Basement: Negotiating Hospitality at La Galerie Des Locataires and Podroom—the Working Community of Artists,” ARTMargins, vol. 1, no. 2–3 (June–October 2012):116–46. 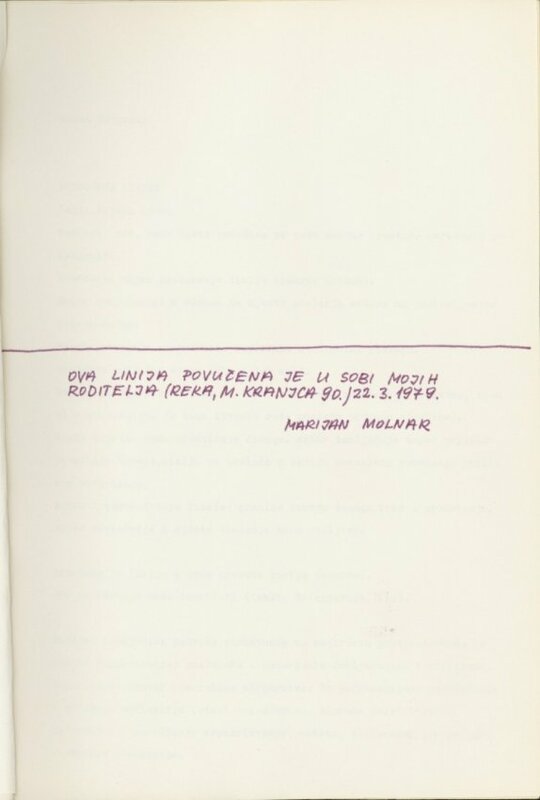 2 Branka Stipančić, Lines, exhibition catalogue (Zagreb: Podroom, 1979).